Continuing my tradition of breaking news harder than any other typist in New York City, I have cracked open an early candidate for scoop of the year. Zero Dark Thirty goes into wide release next week, and viewers across the country can expect something that has been lacking from this year’s Oscar season: a movie with some meat on its bones. In terms of running time, that’s a bad thing. No movie has any right to be 160 minutes long. But in terms of storytelling, it’s a positive. This is a war movie that doesn’t hold your hand. Its first two hours are obsessed with the grit of intelligence gathering, and shot through with lingo that will be incomprehensible to all but the most devoted viewers of Homeland. But even when it’s difficult to follow, the film has two things that carry the viewer through: a strong central character, and a touch of authenticity that is, in espionage thrillers, impossible to do without. Nobody else is telling espionage stories this compelling. For its feverish, brilliant first season, Homeland had this. But by the end of season two, the tension was gone, and the authenticity followed soon after. Skyfall was as gritty as any James Bond film since The Living Daylights, but the villain’s absurd plan meant that it was, when the credits rolled, just a very good Bond movie. 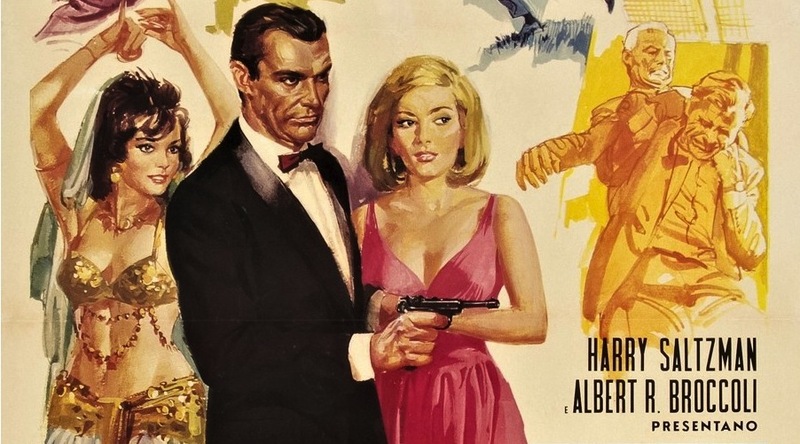 For those who like their spies cold, their villains believable, and their armories gadget-free, may I suggest turning to the golden age of espionage: the Cold War. If you are positively nauseous with boredom, here are three books that can help. Posted in Books, Movies & TV and tagged with Espionage, James Bond, Clips, John le Carre, Adam Hall, Bullett. January 7, 2013 by William Akers.